Probiotics, meaning “for life,” are the “good” bacteria in your gut that boost the immune system, help digest food and synthesize some vitamins and essential fatty acids. When probiotics are plentiful in your body, it’s harder for illness-causing bacteria to gain a foothold. Select strains of probiotics can reduce lactose intolerance while other strains have been used to treat irritable bowel syndrome or minimize allergy symptoms. There are 400 different strains of probiotics and the effects vary from person to person. Probiotics feed on prebiotics, undigested food ingredients that stimulate helpful bacteria growth in the digestive system. Prebiotics are found in many natural foods like raw oats, unrefined wheat, flax, barley and rye, as well as legumes, asparagus, onions, artichokes, garlic, bananas, greens, apples, berries and honey. Prebiotics enhance absorption of minerals like calcium, iron and magnesium. Different strains of prebiotics provide different health benefits. They may also decrease cholesterol levels, help with constipation and lower the risk of osteoporosis and colon cancer. Lactobacillus Bulgaricus and Streptococcus Thermophilus: These are found in many yogurts and soft cheeses and they help convert lactose and other sugars into lactic acid, which is helpful for people who are lactose intolerant. Lactobacillus Acidophilus:This is the largest group of probiotic bacteria in the intestine and it converts lactose into lactic acid, which is beneficial for those who are lactose intolerant. It also may reduce cholesterol levels and help with diarrhea from antibiotic usage. Bifidobacteria:This can prevent and treat various gastrointestinal disorders and infections like irritable bowel syndrome and constipation. There are higher bacterial counts in probiotic supplements which can lead to a greater likelihood that some will make it through your digestive tract alive, as well as provide faster relief from symptoms. Look for at least four to 10 billion Colony Forming Units (CFUs) per dose. Limit fat intake, especially saturated fats and fried foods, as they’re hard to digest. Eat fiber daily to ensure you will be regular every day. 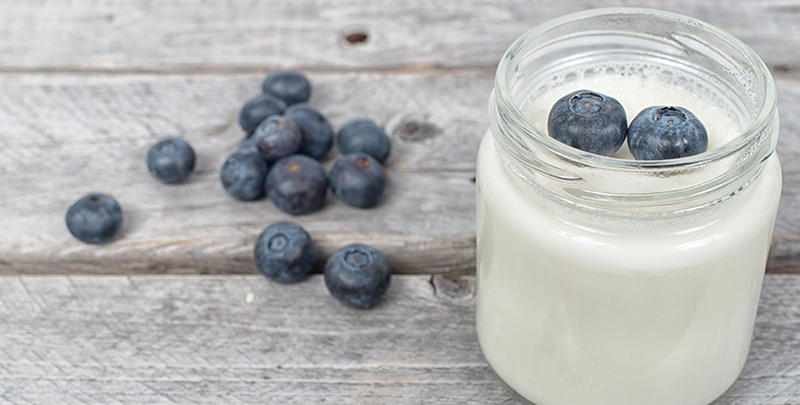 Enjoy foods with probiotics to boost your immunity while reducing inflammation. Take your time and chew each bite at least 20 times to ensure your stomach properly digests the nutrients. Be active to speed up digestion and blood flow while stimulating muscles in the GI tract. Concerned about your digestive health? Gastroenterologists at North Memorial Health can diagnose and treat a wide range of GI conditions. As fall approaches and children head back to school, get your kitchen ready with nutritious foods to better your child’s school performance, development and overall health.